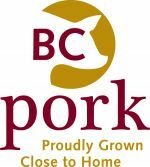 Sausage making continues to thrive throughout the country and especially robust in our own Fraser Valley with its rich heritage of European families who have transplanted the centuries old traditions of sausage making from the old country. The PRIZES In addition to BRAGGING RIGHTS!!! Competitors must create their own sausages and bring to the Fraser Valley Food Show for the judges to view and taste. Raw sausages will be cooked on-site by the competitors for the judges to taste. Judges decision will be based on initial raw impression, and after cooking; taste and smell and final appearance. Please download the application form by clicking here. The organizers of the Great Canadian Sausage Competition wish to thank the judges for their tireless efforts in judging the one hundred and twenty seven sausages entered by the competitors. 1 Italian Style Chorizo Lorne Stapleton STAPLETON SAUSAGE CO.
3 South African Boerwurst Lorne Stapleton STAPLETON SAUSAGE CO. Thank you to all who participated!